The final feedback meeting was held in the carpark meeting room this afternoon. Chairman, Paul Guerra, and board member, Jane Fenton, were in attendance along with members of management and around 30 traders. Paul Guerra advised that a list of issues would be compiled following the series of feedback meetings. 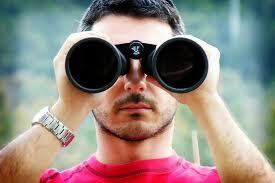 Issues would be ranked short, medium, and long term and those issues that can be quickly fixed will be identified. A process of consultation will commence as soon as possible and will likely involve more meetings. It is expected that at least some of the issues will be handled through the Trader’s Advisory Committee. The first TAC meeting involving the newly elected trader representatives is expected to take place late in September. The QVM Board has established a QVM Future Planning Committee that comprises board members and MCC representatives, and part of their brief will be the establishment of a communication chain for traders allowing direct access to the board. To have your say on this issue (or any other issues) just click here. 1. The Melbourne Film Festival continues until 2nd September. 2. AFL – Hawthorn play hosts to the West Coast Eagles at the MCG on Friday evening. The Sydney Swans are playing Geelong at Geelong on Saturday and Port Adelaide are playing Richmond at the MCG on Sunday. Have We Neglected F Shed? In all the fuss over the new M shed development one of our traders points out that F shed has been on the development agenda for a long time without results. 27/08/2012 20:13:55 F - Shed Retail and Food Shops "After the opening of M - shed there are many complaints about the cars and boxes parked.The opinion is that one part of the M Shed doesn't look like a trading aisle. What about F- Shed where the boxes and car problem have existed for many years and some part of the shed doesn't look like a trading aisle as well. 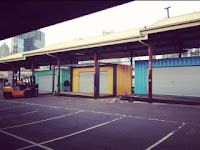 F - Shed traders are paying a high rent that can be compared to be close to the shopping centres rental levels, but the facilities are very basic. There is minimal or even nil trading on rainy days, on the hot and harsh sunny days, and on the windy days, as a result of the aisle open to the direct climatic conditions. The traders are complaining now, and have complained in the past couple of decades for a roof to be built, but no action has taken place, and the subject is not even mentioned in any of the newsletters or corespondences,except that it has always been in the planning stage." 1. Allan's Music Stores go into liquidation. 2. National Retailers Association calls on Fair Work Australia to abolish Sunday penalty rates. 3. Pacific Brands (Bonds, Dunlop etc.) reports $450m loss. 4. US homewares retailer, Williams-Sonoma, joins international rush to set up retail presence in Australia with 4 different branded shops to open at Bondi Junction. 5. News Ltd. Report that Westfield to cut up to 400 jobs from global workforce. 6. Wheel & Barrow named top kitchen retailer, ahead of fellow competitors Robins Kitchen, Matchbox and House. 7. Noni B attributes 2% increased revenue to better customer service and less discounting. 8. Aldi named Supermarket of the Year for customer satisfaction. 9. Coles launches Tap-n-Go terminals across its network. The following pictures were taken within 30 seconds of each other last Saturday morning. The lack of customer traffic in String Bean Alley is a standout. We would have thought that there would be some science attached to creating traffic flow in our market but the evidence suggests otherwise. M shed is an add-on and until customers see it as an integral part of the market they simply won't go there. Perhaps it is expected that time will see an improvement in attendance but we would prefer a more pro-active effort. Line of sight to String Bean Alley is terrible. The only uncluttered view is from Peel St. At the other end of the aisle (Queen St. end) the view is virtually blocked by a trader's van. From the walkways in J,K and L sheds there is no indication that a trading aisle exists in M shed. Even at the top (Peel St.) end of L shed there is no indication that turning towards the carpark will lead you into a new trading area. We have a simple question. Does management have a plan of action to correct these early short comings? 26/08/2012 13:34:50 String bean alley failure "Who is responsible for the failure of string bean alley? It should be called string bean desert. I see today only 5 of the 8 container sheds are open. If a public company had a CEO spend over $150,000 on such a debacle the shareholders would be calling for her resignation, or at least the person assigned to the project should fall on there sword. As a long time stall holder this huge amount of money could of easily been spent on promoting through advertising the great Victoria Market. I personally think its time for a change at the top. Paul Guerra the QVM chairman was very impressive at the future plan meeting at the Ibis Hotel and If the rumors are correct he would make a great CEO. It's time for individuals to start taking responsibility for some of the major failings in the market "
26/08/2012 21:51:18 Now there's an interesting rumor, I wonder if Mr. Guerra has heard it. 27/08/2012 15:47:50 M Shed "It is pretty obvious what has to happen..... L shed needs to trade both ways ( all bins, tarps& cars out ),awnings need to go on L shed for rain and shade and no stall should be over 2mt high, so customers can see across the market .Included Stringbean Alley in QVM, at the moment its an over dressed relation standing at the door." Ed: This comment gets a tick. Not sure about 2m height over the full length of L shed but it would certainly be helpful at the top, bottom and the crossways. 27/08/2012 20:13:55 F - Shed Retail and Food Shops "After the opening of M - shed there are many complaints about the cars and boxes parked.The openion is that one part of the M Shed doesn't look like a trading Isle. What about the F- Shed that the Boxes and car problem exists for many years and some part of the shed doesn't look like a trading isle as well. 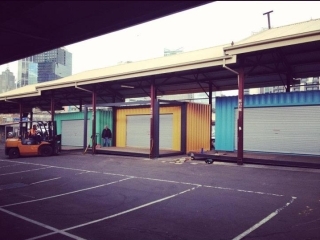 F - Shed traders are paying a high rent that can be compared to be close to the shopping centres rental levels, but the facilities are very basic. There is minimal or even nil trading on rainy days, on the hot and harsh sunny days, and on the windy days, as a result of the Isle open to the direct Climatic conditions. The traders are complaining now, and have complained in the past couple of decades for a roof to be build but no action is taken place, and not even mentioned in any of the newsletters or corespondences,excep that it has always been in the planning stage." Mercatus is a new online food ordering and delivery service that is based on food supplied from the Queen Victoria Market. Here is part of the blurb from the marketlife website – “Cherie Keegan and Justin Flowers share a passion for beautiful food made with the very best ingredients. And since fantastic food is what Queen Victoria Market is all about, the pair could regularly be found browsing through the stalls getting inspiration from the seasonal offerings. Cherie and Justin wanted all Melburnians to be able to enjoy the high-quality, fresh Market produce they loved so much but knew that getting to and from the Market wasn’t easy for everyone. This is all about food, but the important point for General Merchandise Traders is that new and innovative ideas can enhance the customer experience and keep us at the forefront of customer relevance in this new age of retailing. 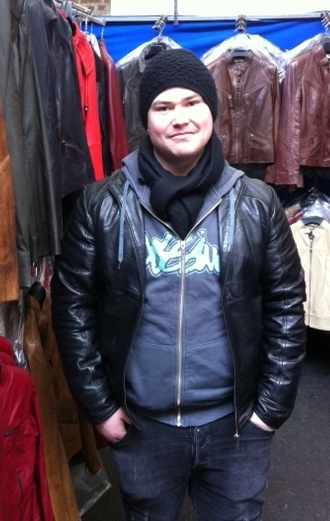 There are many aspects of shopping at QVM that are unique and attractive. Enhancing the customer experience will ensure we continue to be unique and attractive for another 150 years. Melbourne retailers quickly learned that the influx of Japanese tourists in the late 60's and early 70's was a ripe opportunity and tourist buses flourished as they linked eager Japanese tourists with retailers. Today, Chinese tourists are becoming the focus but the tourist bus connection has become a little more complicated. Just like their Japanese predecessors, Chinese tourists don't always have good English language skills and they rely on pre-organised tours and activities to determine what and where they visit in Melbourne. When it comes to tours, a few people need to make money out of the process. There is the tour wholesaler who promotes the tour in China, the tour operator in Melbourne and probably a few others in between. You need to have a tour that can support commissions and obviously tour operators will go where the money is. Anyway, without getting too involved in the complexities of modern tours it is quite possible that a large number of Chinese tourists will leave Melbourne without ever hearing about the Queen Victoria Market and that is a real problem. What is the solution? One of our traders is a regular traveller to China, has an understanding of Chinese culture and has some advice (thanks Simon). If we can't make an effective entry into the commissionable tour market we need to make sure that QVM is featured on in-flight videos. That way, tourists will be informed about the QVM and more likely to put us on their visit list. Everybody says retailers need to go online, right? 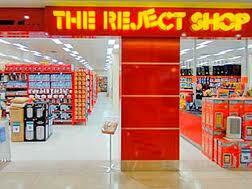 Well, not the Reject Shop who say that they simply can't make a good business case for going online. The Reject Shop can probably remain comfortable with their decision as they report profit rising by 35.6% and plans for 20 new stores this financial year. They are one of the few retailers around who feel that they just need to focus on bricks-n-mortar stores. Many retail categories do rely on an online presence, particularly things like electronic goods where price comparison is so critical, but the Reject Shop shows that online is not everybody's priority. - Melbourne Writer’s festival commences 23rd August and runs till 2nd September. AFL – A good interstate showing this weekend. Essendon versus Richmond Friday night and these teams draw some interstate visitors. 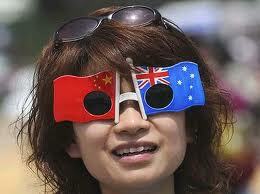 StKilda versus GWS at Etihad on Saturday so expect some Tasmanian supporters. North Melbourne versus Fremantle on Sunday at Etihad Stadium. The Adelaide Crows do battle with Melbourne at the MCG on Sunday evening. - The Wiggles perform live on stage at the Melbourne Town Hall Friday and Saturday. - Melbourne Storm are playing The Sharks in Monday night’s NRL match at AAMI Stadium. Congratulations to the following General Merchandise Traders who have been elected to the Trader's Advisory Committee. A variety of comments over the last few days so we have posted them together. A big thank you for the favourable comments about this website and an equally big thank you to all the traders who make written submissions or contribute their thoughts and ideas. Thank you to the traders who contribute their sales data each week so we can better understand trading trends, and thank you to individuals like Tony who does our market interviews. A great team effort. 17/08/2012 22:44:18 "I too was pleasantly surprised when I saw Jenny and her crew walking around early on Thur morn. I hope this is just the beginning of her, seeing what is happening ""out there"" wjth us on the ""ground""
The Market really needs a boost of people,but the ""PR"" people need a real kick in the tush!.Cos for me,of 30 odd years here, they are not dong their job!! There is no loyalty of the customer,if they can get a beta deal elsewhere they will! I believe the ""PR"" people have to do the leg work and find a way to attract the customer back! !Hence,PARKING,when and how long will it take for the office to act upon advice given by the stallholders who are on the ""ground""
20/08/2012 09:41:50 Thanks for the News "Thanks for your ongoing efforts to bring us news every week, we appreciate your efforts. I notice that generally the tone of your news is more positive now, could it be after our huge trader meeting with Council? 21/08/2012 09:08:12 Great to see the "new improved" format as always well done ed. 1. ACCC warns companies they are responsible for comments posted on their Facebook page. 2. Annual pace of inflation slows to 3 year low of 1.5%. 3. Starbucks remains world’s largest coffee chain but struggles in Australia. 4. J.C.Penney sales plummet 23% after replacing hundreds of sales with everyday low prices. 5. Woolworths opens first drive through supermarket at Warringah NSW where customers order online and pick up by car. 6. Topshop to open 3rd Australian store at Highpoint. 7. Pizza chain, Dominos, expects online sales to reach 50% of total by 2013. 8. JB HiFi report online sales up 77.3% but still only represent 1.6% of total sales. 9. Westfield global profits up 30% despite 10% fall in revenue. 10. Online shopping deals giant, Groupon, suffers 20% share price fall following disappointing forward prediction. 11. NAB business report for July says retail sector “worryingly weak”. The cost of printing business cards can be avoided and you get a marketing bonus with the CardCloud app for IOS and Android smartphones. Let's set the scene. Your customer asks for a business card. You say "I don't have a printed card but I can send you a digital card. Can I have your email address?" 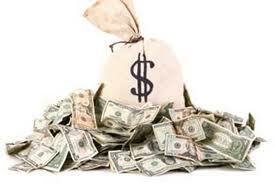 that is where the marketing bonus comes in because you have added a customer to your mailing list. The advantage for your customer is that, when they receive your email, (and this is the apps best feature) they just tap or click on the phone number to automatically call you, tap or click on your web address to be taken direct to your website, and tap or click on your email address to send you an email. It all works seamlessly. Setting up your business card is quite intuitive and you can set up multiple cards for different businesses or profiles. We recommend you have a look at CardCloud. Did we mention it is free? If I was to give you a 2 week free holiday anywhere in the world, where would choose to go? Visit family back in Malta. Thing you most love about the market. Meeting and socializing with friend, and being around my wife and child. What’s your favourite meal, drink? Nando's, ice tea. Favourite music, movie? Old school rap, 80's in general, horror movies and a good comedy, doccos. Tell me something nobody knows about you. That I'm Austin's father. I read an interesting article on Fastcompany.com this week about how customer experience is more than just a marketing buzzword, it is in fact at the core of how commerce has changed in the last few years. 1. 1900-1960: The age of manufacturing when the size and placement of your factory determined your business strength. 2. 1960-1990: The age of distribution when globalisation and de-regulation allowed businesses to focus on cheap sources of supply and how they got goods to local stores. How that was done was pretty much kept from consumers. 3. 1990+: The age of information started with a dramatic shift from the seller to the buyer as information-centric companies like Amazon and Google thrived. 4. Today: The age of the customer has arrived. The barriers are down. Customers know almost as much about product procurement as companies do. They can access goods from anywhere in the world, read product reviews and product comparisons from many different sources, and make informed decisions about what is good value. So, this is the age of customer experience. The difference between you and your competitor is how you treat the customer, how you present yourself, how honest you are, how much effort you put in, how accessible you are, and how enjoyable you make the whole shopping experience. An exciting challenge indeed. The Melbourne International Film Festival continues until 19th August. Living Science at The Queen Victoria Market on Sunday 19th August. AFL – The Sydney Swans are playing the Bulldogs at Etihad Stadium on Sunday and The Goldcoast Suns are playing The Hawks at the MCG on the same day. The Melbourne Writers Festival starts on August 23rd. Why Trader Bulletins Are Thrown In The Bin. It is a sad fact that Trader’s Bulletins don’t have a high profile in the daily activities of this market. On the surface, they could be important information sources. They contain news on what is happening around the market, particularly promotional opportunities for traders. And yet it would appear that much of their content is ignored. One major criticism is that the bulletins contain too much spin. They are seen more as a management promotion tool than a pure information source. Take the last bulletin (Issue 115) which, in referring to String Bean Alley said - “The opening of the precinct has been well received by the public and media with the buzz continuing.” That statement is fine for public consumption. But, please! We are professional market traders. We know that buzz is lacking in String Bean Alley at this early stage. Here is a statement that might have attracted credibility in a Trader’s Bulletin – “The opening of the precinct has started well. Much needs to be done to generate customer flow and a retail buzz. We have plans for...............”. If Trader’s Bulletins are to achieve their aim of informing traders, they need to treat their readers like professional market traders and cut the bull. It is one thing to be super positive about what is happening around us and another to tell it how it is. 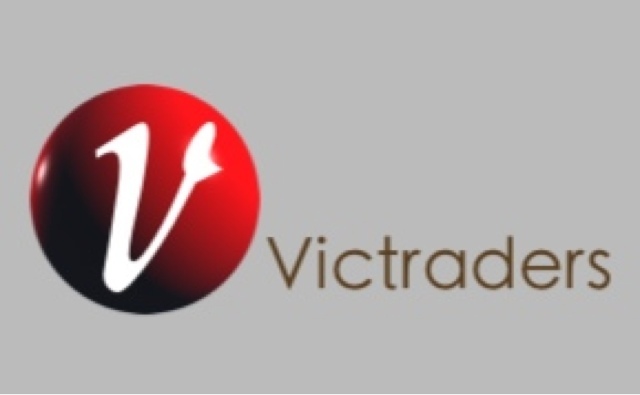 Traders like to feel that they are working with a management that understands the realities of trading at The Queen Victoria Market. Honest communication on what is really happening (in all issues affecting the market) will go a long way to repairing a tarnished management/trader relationship, and regaining reciprocal respect, trust and confidence. So, for many traders, this is a welcome event. In fact, if it is not a "one off" occurrence, it must be seen as a positive for more open communication between management and traders. Of course the real problems in our market won’t be solved just by walking and talking. Serious issues like tourism focus, trading costs, inflexible license arrangements, and many others, will require positive action. We look forward to that positive action. I hope this is just the beginning of her, seeing what is happening ""out there"" wjth us on the ""ground". The Market really needs a boost of people,but the ""PR"" people need a real kick in the tush!.Cos for me,of 30 odd years here, they are not dong their job!! There is no loyalty of the customer,if they can get a beta deal elsewhere they will! I believe the ""PR"" people have to do the leg work and find a way to attract the customer back! !Hence,PARKING,when and how long will it take for the office to act upon advice given by the stallholders who are on the ""ground" and really hurting!?! 1. Top 3 By Design named only Australian entrant in World Retail Awards. 2. New app allows shoppers to search for goods by colour. 3. Mid-year toy sales seen as key ingredient in 1% rise in June retail sales. 4. Harvey Norman expects full year profit to be down almost 40%. 5. Reserve Bank leaves cash rate at 3.5%. 6. Country Road opens its first regional store at Shellharbour. 7. Westpac trials NFC payment chips in SIM cards for mobile swipe payments. 8. Zara opens its fourth Australian site at Chadstone. 9. Pop up retailer 100 Squared opens at Melbourne Central with designer accessories. 10. McDonalds turnover fails to grow in July – first flat result in years. 11. Webjet profit up by 25%. The M Shed re-development has created ripples through the market as a number of traders who used to store their boxes in M Shed have been forced to make alternative arrangements. Let’s face it, storage boxes are unsightly and shouldn’t be seen in public trading areas. Responsible traders will make sure that boxes that can’t be accommodated on their stall will be suitably hidden even if that means carrying cloths to cover them. If you are a victim of these box trespassers, ask them to move or cover their boxes. In the same way as major shopping centres hide their empty shops with false hoardings, we should be covering up our ugly storage boxes. Ideally, matters like this can be sorted out between traders. However, traders who would sacrifice the appearance of our market for their own short term convenience deserve to be brought to account. This is our market. 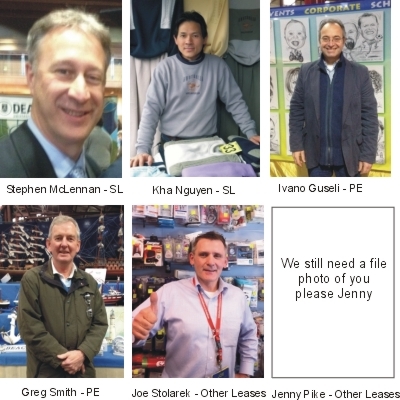 Our businesses rely on creating a good impression to customers. All traders have a responsibility to maintain that good impression. Traders are showing great interest in the new String Bean Alley development as it commenced trading this week. The general consensus seems to be that the new structures are a welcome and bright addition to the market landscape but much work needs to be done to translate into a meaningful retail destination. Like other areas of the market, getting customers to embrace the new section is essential to its success. They desperately need a vibrancy and the crowds of customers that vibrancy attracts. It is early days, and no doubt management have much in mind to enhance the environment. Some more traders would be a good start. The newly installed low-energy lighting in the market has not been viewed in a favourable light. Trader’s have complained of dull lighting since it was installed and the subject has been mentioned a number of times at the Thursday evening Trader/Board/MCC meetings. We now have reports that the first night test at this week’s inaugural Luna Night Market showed up the lighting system’s inadequacies with comments that it was difficult to differentiate colours in some of the trader’s product ranges. Dull days at the day market this week have shown similar problems. The Melbourne International Film Festival is on until 19th August. AFL – The Brisbane Lions are the only interstate team playing in Melbourne this weekend. NRL – Melbourne Storm are playing the Gold Coast Titans in Melbourne this weekend. I’ve just had one of my best weeks of trading this year. I need to get that into perspective. I achieved 60% of my target. That is not great, but I do sell products that are at the pointy end of discretionary buying and it is my off season. My products are probably among the most unnecessary products sold in our market. So, when consumers are pulling in the belt, saving more than ever, and buying only essentials, I am most likely to suffer. Do I know why I experienced my best week? I am reluctant to add yet another reason to the long list of unsubstantiated causes of business fluctuations, but I am pretty confident about this one. It is the Olympics, or more specifically, the “feel good” aspect of the Olympics. Enough of my customers let down their guard and decided to splash out a little to create a blip in my takings. Potentially I have another week of “feel good” buying and then it is back to doom and gloom. Or maybe the Olympic “feel good” will last a little longer. Wish me luck. 1. Country Road buys Witchery clothing chain for $172 million. 2. Retail spending rose 1% in June, seasonally adjusted, in line with expectations. 3. $9 million trade surplus in June exceeds expectation of $400 million deficit. 4. Pet’s Paradise placed into receivership. 5. Breville’s shock market with announcement of 40% increase in earnings, largely due to growth in US operations. 6. G-Star loses court case against local discounter importing its products from other o/s sources. 7. Harris Scarfe sold to international retail group. 8. Retailers continue to question supposed rise in retail sales. 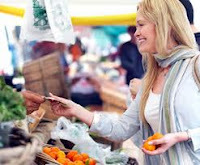 Sydney Markets operate a number of market outlets including the famous Paddy’s Market, and the Flemington produce market in Sydney’s west. They have announced that trader’s are to be granted $500,000 to help absorb the anticipated 20% electricity hike for the next 6 months. “We saw that the burden this electricity hike would place on our businesses was too extreme, given the current economic climate and difficult trading conditions, which are already affecting businesses within our Markets,” CEO of Sydney Markets Bradley Latham, said. I have just setup a new PayPal facility on my phone that does two interesting things. Firstly, it identifies me through my phone number. Instead of having to log in to a website, enter my email address, and then enter my password, I am automatically recognised as a PayPal customer by my phone number and I simply enter a 4 digit pin number to confirm a transaction. The second thing is that I can pay other people simply by entering their phone number and the amount I want to pay them. Conversely, my customers can make a payment to my telephone number for goods purchased. This is all designed to make it easy to conduct transactions outside the traditional EFTPOS banking system. As the popularity of parcel delivery services grows, leading transport provider, Toll, has announced a partnership with Victorian Newsagents that will allow parcel recipients to pick up their parcels on weekends and after hours. 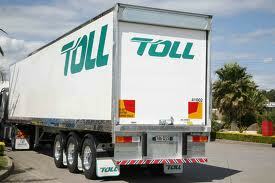 Toll says the arrangement will allow greater flexibility in delivery times and pick-up locations. 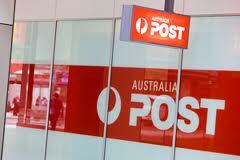 Commentators suggest it is a direct challenge to Australia Post services that are subject to more restricted trading hours and no weekend deliveries. What do you sell? Leather jackets. How long have you been trading? Family about 15 years, give or take. If I was to give you a 2 week free holiday anywhere in the world, where would choose to go? Spain and Monaco. Thing you most love about the market. - Chatting with fellow stall holders. Thing you dislike about the market. - Rude people. What is your favourite meal or drink? Italian food and lemon lime and bitters. Tell me something nobody knows about you. I was a promising junior tennis player. Australia Post is partnering with Tarazz, who claim to be “Australia’s largest online mall” with over 250,000 items from retailers including Wal-mart. Tarazz.com.au says its "concierge platform" will bring together products from global shopping brands including US chain Walmart, British high-street retailer Dorothy Perkins and Italian luxury line Forzieri, and deliver to Aussie consumers in partnership with Australia Post. Australia Post will act as a logistics partner with Tarazz, providing warehousing and delivery services through its Australia wide network. Property billionaire Andrew Roberts (Multiplex) moved into online retailing and may be regretting the decision with reports of staff cuts, closure of a bricks ‘n mortar store and falling online sales. Robert’s purchased three eCommerce sites in June – My Catwalk, Thread People, and Baby’s Got Style. Competition from other online sites is considered partly to blame. Perth-based billionaire Stan Perron on the other hand has made one of the biggest buys of the year, spending just under $700 million to take half stakes in three of Centro’s biggest shopping centres: Perth’s Galleria, Adelaide’s Colonnades and Melbourne’s The Glen. It was a huge deal for the recovering Centro and a big deal for the retail sector. But it also represents a strong endorsement in the retail sector by the canny Perron, who now has 80% of his extensive property portfolio in retail. Trader, Mark Szmerling, received a good hearing before Chairman, Paul Guerra, on Thursday evening as he tackled the issue of storage box relocation following the M shed redevelopment. Mark operates a "short side" stall and has specific issues that are not being addressed by the new arrangements. He was pleased to have his say in an open forum and even more pleased when The Chairman visited his stall on Friday morning and thanked Mark for his contribution. It is certainly encouraging to have the Chairman of the Board wandering the market and talking with traders. The QVM is referred to as a business incubator in many internal and external communication sources but does it really meet the criteria? A small business incubator provides an environment in which small new businesses can experiment and receive guidance as they develop to a stage of self support or continuing growth. The QVM Stall Application form does refer to aesthetics and stall merchandising as key selection criteria but in fact new traders are selected on fairly flimsy guidelines and then pretty much left to their own devices. It would seem that there has been a culture of giving anybody a go and that has the effect of lowering standards. It is apparent that new traders are not asked to commit to a minimum stock spend, are not asked to submit a business plan, are not asked to submit a merchandising plan and are not given follow-up counselling on their performance. The point is that the difference between an ad hoc unprofessional market offer, and a professional market offer, does not require a large amount of money. It requires commitment, professional business thinking, advice and follow-up. This is an important part of raising the standard at QVM. "The priority is to ensure the market continues to remain a vibrant, character-filled, traditional working market; and continues to thrive as a major retail centre, business incubator and tourist attraction for generations to come," Mr Guerra said.